Santa Fe Jewish Film Festival: It's October! Time for the first film in the new Santa Fe Jewish Film Festival! 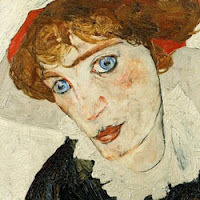 The film traces the history of this iconic image – from Schiele’s gesture of affection toward his young lover, to the theft of the painting from Lea Bondi, a Jewish art dealer fleeing Vienna for her life, to the post-war confusion and subterfuge that evoke The Third Man, to the surprise resurfacing of “Wally” on loan to the Museum of Modern Art in Manhattan in 1997 and the legal battle that followed. “going to the movies” into a “movie going experience”.